Erickson Beth March 26, 2019 March 26, 2019 No Comments on Betrayal. Plagiarism. Ghostwriters. NOTE: Uff-da! 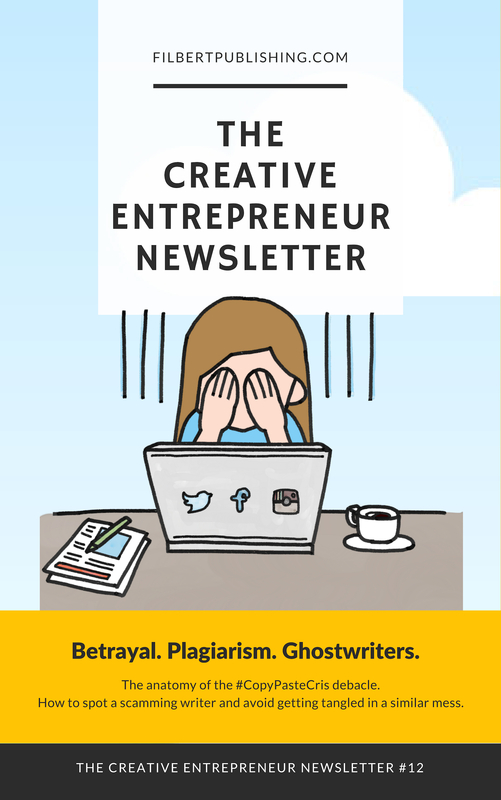 I was getting ready to upload the most recent issue of the Creative Entrepreneur Newsletter when, holy cow!. I realized I didn’t upload the link here. Sigh. What do you get when you combine a NYT bestselling author, a claim of plagiarism, ghostwriters, and a tale with more twists and turns than a pretzel? 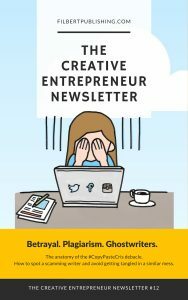 Why, you get today’s issue of The Creative Entrepreneur! We’re taking a short break from our current topic to discuss a breaking story, one that can influence publishing, writing, and book selling. It’s a fascinating tale, one that contains copious lessons on scamming, cheating, and how to avoid getting tangled in these types of messes. Read. Ponder. Then plot your course through the crazy world of writing, publishing, and freelancing.